In this guide, I will show you how to install any addon on a Kodi build. The method demonstrated here works on both Kodi 18.1/18.0 Leia and Kodi 17.6 Krypton. A Kodi build is a package that bundles preinstalled addons, tools, utilities, all at one place. 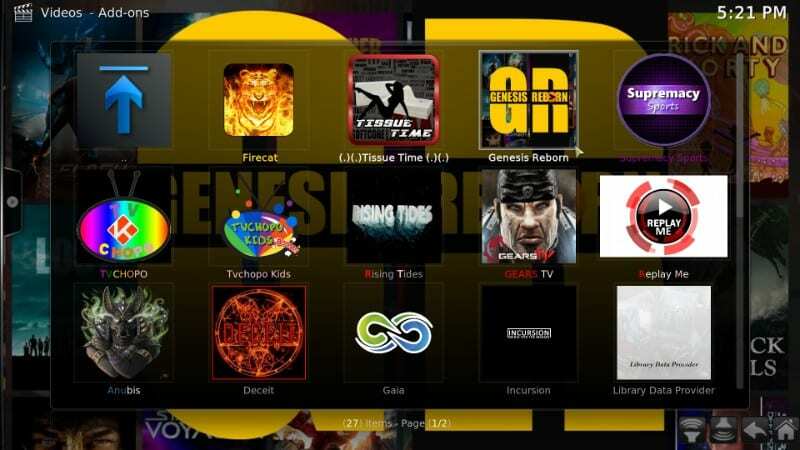 The builds also lend a new appearance to the Kodi interface with custom skins; a lively build is a desirable change from the monotonous default interface of Kodi. This in turn also changes the navigation structure and how you interact with Kodi. But, most importantly, Kodi builds come with several popular preinstalled addons sparing you the hassles of installing multiple addons individually. I told you that builds come with many preinstalled addons. But, the build you are using may not necessarily have every addon you wish to use. Thankfully, all the builds also allow you to install additional Kodi addons. You may install just about any addon you want. However, as I have already said, builds have their own interface and hence the addon installation process may vary (albeit only slightly). The objective of this guide is to show you how to install those addons over Kodi builds that don’t come bundled with the build. Keep reading! 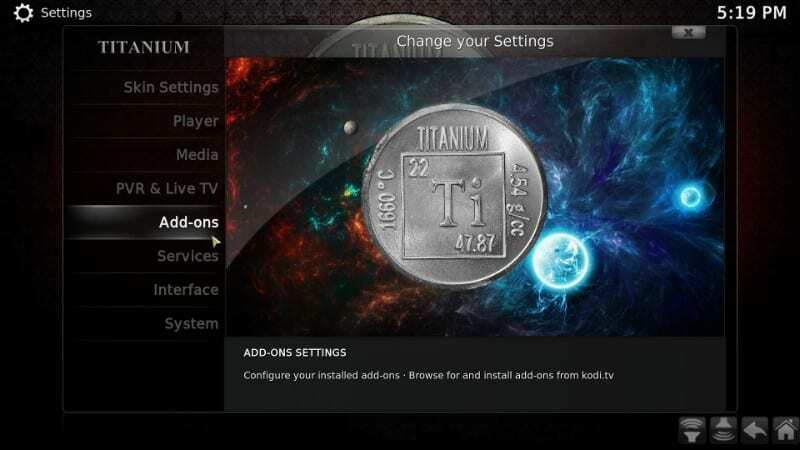 In this guide, I will use Titanium Build to demonstrate how to install addons over the Kodi builds. Even though each build has a unique interface, the functions and navigation remain more or less the same. If you are using any other build, you will find the similar, if not the same, set of options. The addon installation process with a build is also much the same as with the default Kodi interface (that uses Estuary skin). You may want to install Titanium Build on Kodi from Supreme Builds Wizard so you could follow this guide step by step. 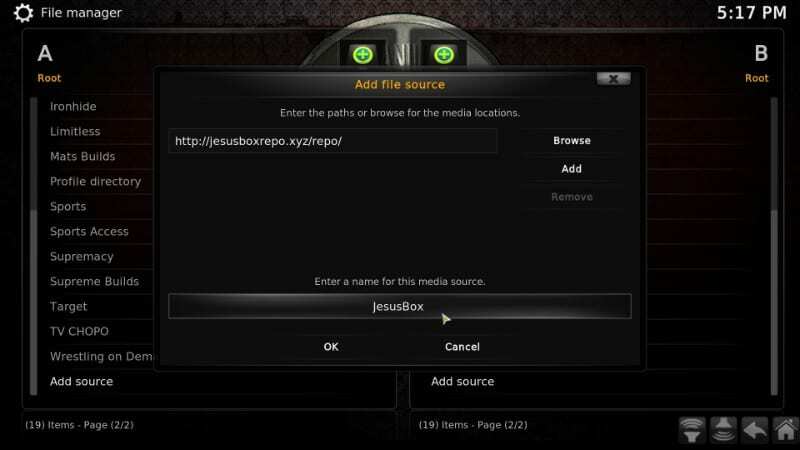 It is one of the most widely used builds and packs several popular addons. 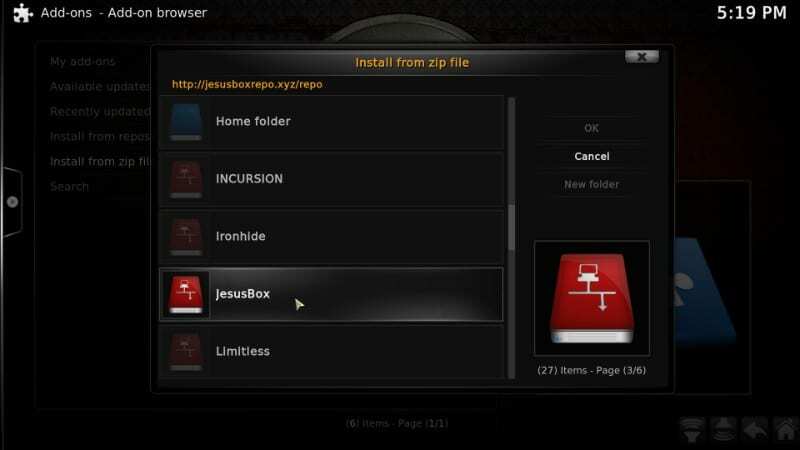 You may also install a different build from Supreme Builds Wizard as it has many. You can also explore more builds for Kodi outside Supreme Builds Wizard. The first thing you want to decide is, which addon you want to install. You could pick one of the best Kodi addons and get started. For this guide, I am going with Genesis Reborn. 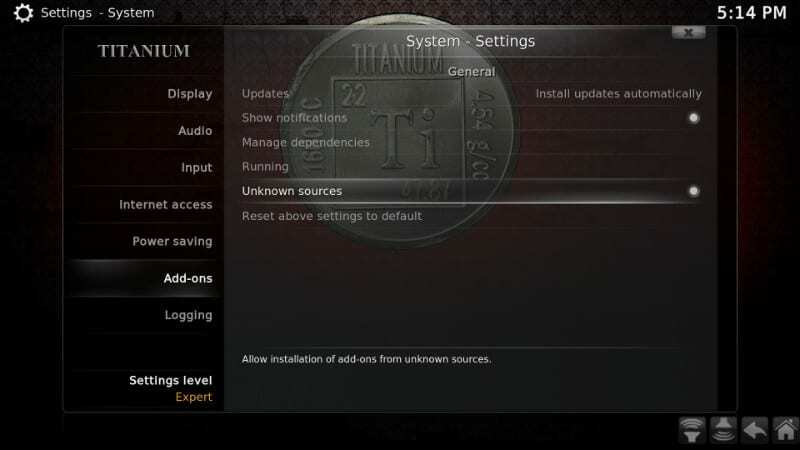 You may choose a different addon which isn’t preinstalled with Titanium Build. 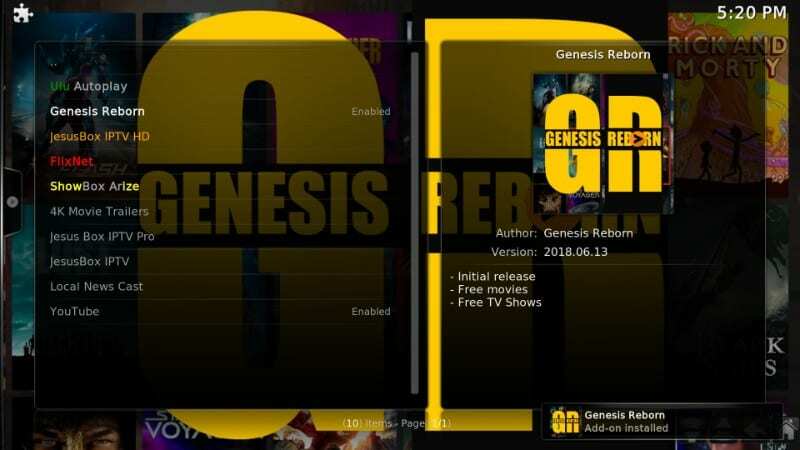 Note: The Genesis Reborn addon does not work any longer. However, you can use the method for any addon of your choice. The next thing we want to do is make sure the Unknown Sources is active/enabled so that Kodi accepts third-party add-ons. Now, since you have already installed a third-party build, you must have already turned this option ON. But, just in case you disabled it for some reason, let’s enable it again. #3. Select ‘Add-ons’ option on the left side of the next window. You will find Unknown Sources on the right side. As you can see, it is already turned on for me. That’s because I have installed Titanium Build. If it is OFF/disabled, simply turn it ON. When that’s taken care of, you can start installing Addons over Titanium Build. I will show you how. #1. On the default Kodi interface, you navigate to Home screen > Settings > File Manager to add the source. However, Titanium Build interface offers the File Manager option right on the home screen. So, the idea here is to locate the File Manager option on any build you are using. #4. Next, type in the name of the source whose URL you entered in the previous step. Just like before, you may add any name you like. #5. You now want to go back to the Kodi home-screen. #10. 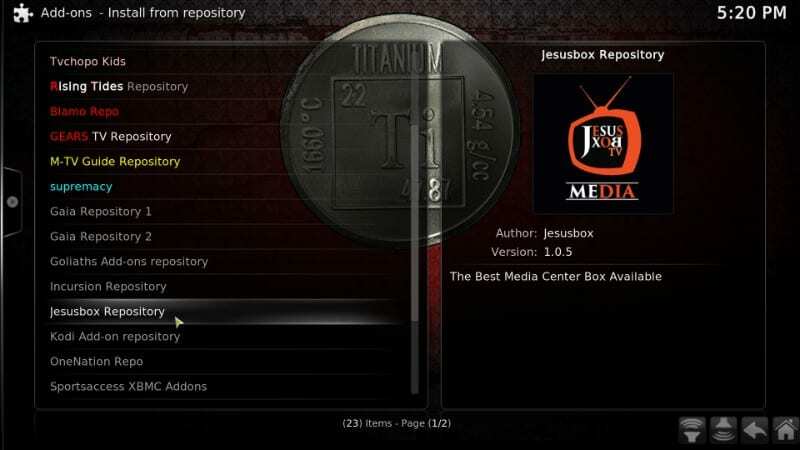 Wait until the notification ‘Jesusbox Repository Add-on Installed’ is displayed on the bottom right. The same notification shows on the top right on default Kodi. NOTE: You need to perform this step for the Add-on you want to install. I am using Genesis Reborn for illustration purpose only. 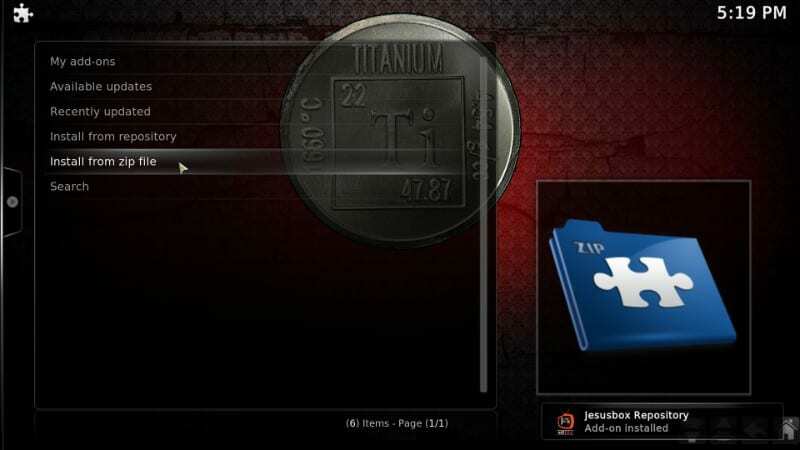 And, this is how you install an addon on Titanium Build. As I said, it will be quite the same as with any other build. Go back to the Titanium Build main-screen. Select Main Menu and navigate to ‘Video Add-ons’. Click this item. 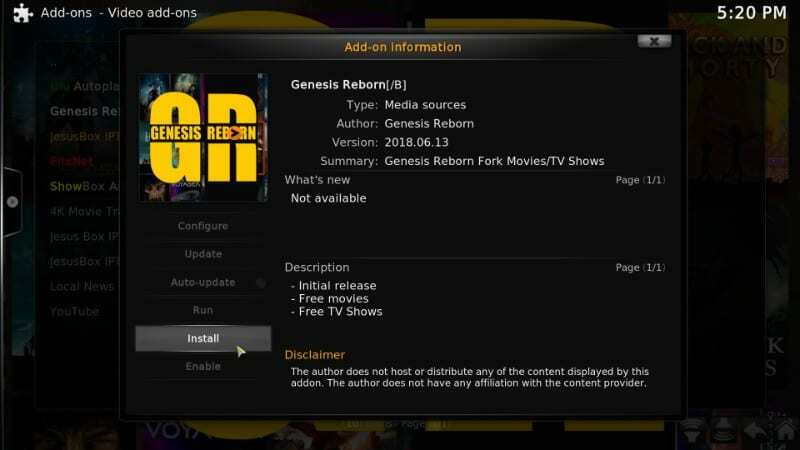 You will find Genesis Reborn among other addons on the list. Attention: Kodi users are always under ISP and Government surveillance radar. If found streaming copyrighted content, you could get into serious legal trouble. The best precaution is to get a VPN for Kodi and stay anonymous while streaming. Here’re 10 reasons why you must use a VPN. I personally use ExpressVPN which is the fastest and most secure VPN. You can get 3 months free on its annual plans. Also, it comes with a 30-day money-back guarantee. So, here is how we install the addons on Kodi with a build installed. 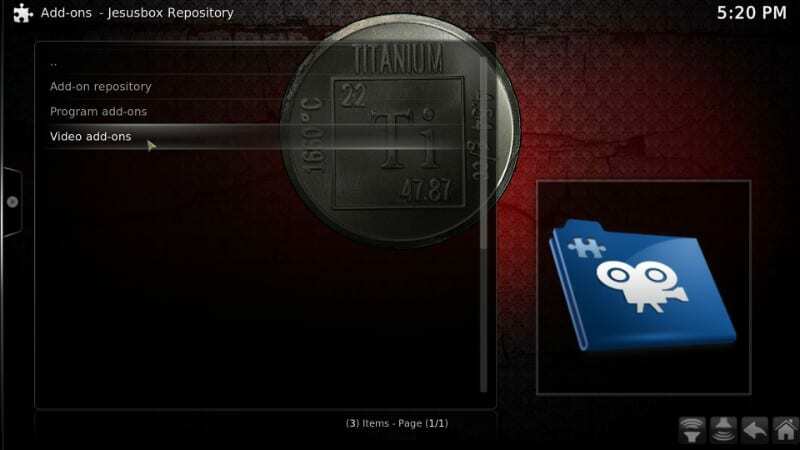 If you are using any build other than Titanium, just look for the key options and you will be good to go. For instance, to add the source locate the ‘File Manager’ option. To install the repository, you want to find the ‘Add-ons’ option within Settings so that you may use the ‘Install from zip file’ option. And, to finally install the addon, look for ‘Install from repository’ where you found ‘Install from zip file.’ In other words, the build changes the exteriors but the insides and the basic functions remain intact. How did you like this guide? Please feel free to comment below for any questions or suggestions. Hi Frank, you can install any addon over any build if you have the source link. Within the build, find the File manager option and add the link. 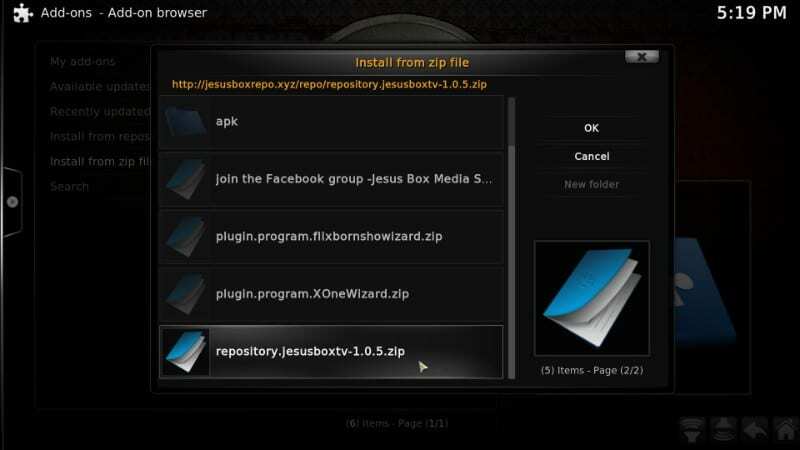 Next, find the option Install from zip file to install the repository from the added link. Later, find Install from repository option, open the repository you just installed and look up for the desired addon in the Video add-ons section.